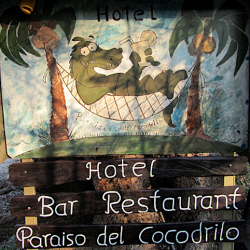 Our hotel Paraiso del Cocodrilo offers comfortable and commodious apartments and rooms. 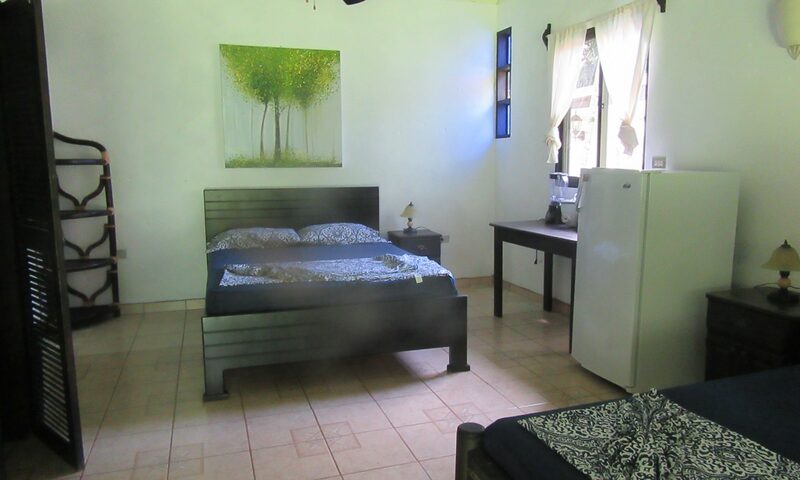 The rooms are provided with TV, air condition and seperate bathroom, while the apartments offer a private garden or terrace and a kitchen in additon. Take a drink on our garden terrace from where you can watch the Costa Rican world of plants and animals. For a long time now, the beach resort Sámara has been a tourist destination for many tropic lovers. Apart from the beach, you can easily reach the jungle and volcanos that are located not far away. Our calm spot allows you to be in the heart of action in Sámara in a few minutes or if you prefer, to relax on the miscellaneous beaches where the only noise comes from the waves of the ocean.